Campus Activities and the Career Planning & Development Center collaborated to bring The Second City Improv Group to Webster University Tuesday, Sept. 25, for their workshop, "Imployed: Using Improv Skills in Job Interviews." 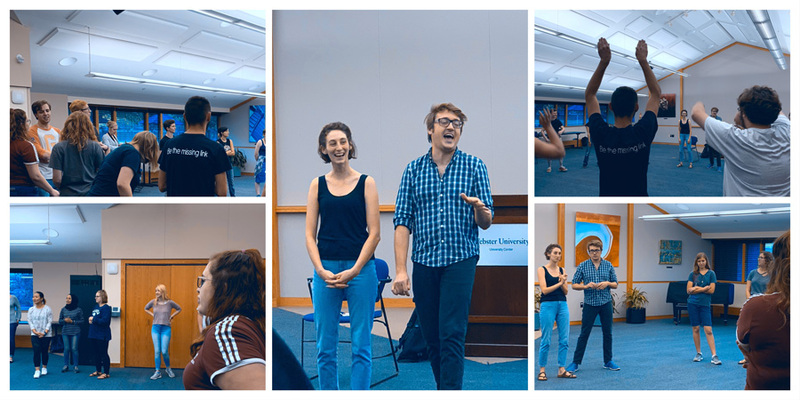 Students were able to work with Second City performers to learn tools of improvisation that could help them gain confidence, develop tactics to manage nervousness, network like a pro, master job interviews, and keep a sense of humor in the face of the unexpected. The 90-minute workshop was followed by an improv show in the Winifred Moore Auditorium.